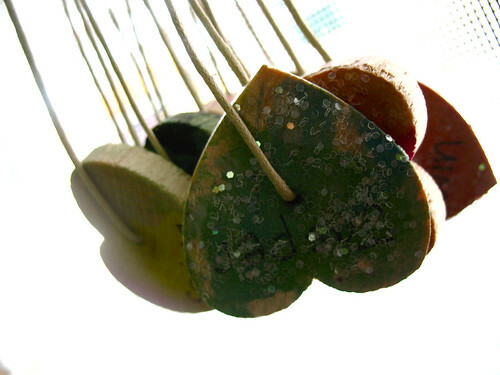 i drilled holes in thrifted wooden hearts then set them out with watercolor paints. each heart had a name on it so first the preschoolers worked on name recognition (which they are very good at by now!). 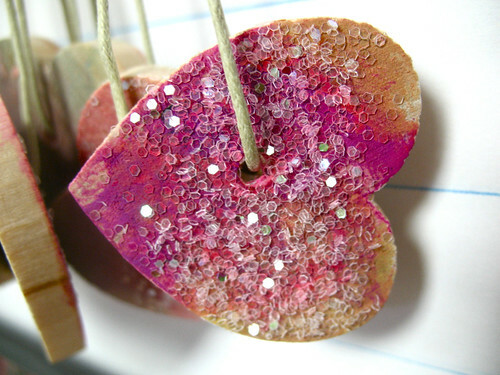 after the heart was painted, we rubbed on regular school glue and sprinkled glitter. once dry we added a string and made a necklace! The Itty-Bitty Bookworm will soon be publishing a monthly e-magazine. It will be a compilation of the best preschool activities around the blogosphere. I would like to include this heart necklace idea. If you agree to allow us to publish this idea, we will also publish your name, bio, and bloglink. So happy to find your site. I’ve just gone back to work as my son’s preschool teacher (it’s been a few years) and I’m finding it hard to find sites/preschool teachers who are approaching the job with respect, simplicity and intelligence. I’ve only looked at a couple of things on your site so far, but they look lovely. Thanks! “P” is for pretty and precious! What fun! So very pretty! 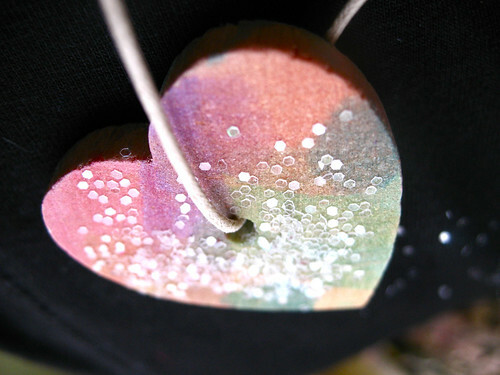 These would make a fun craft for older children as well.